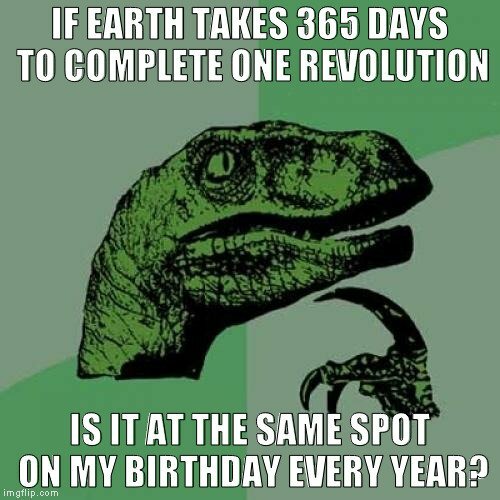 When I first learned that the Earth orbited the Sun and that it took roughly 365 days to complete one revolution, one of the many questions that intrigued me was whether Earth was at exactly the same spot every year on my birthday. In fact, I know plenty of people who would like to know whether the planet has a routine hang-out spot every time they get a year older. 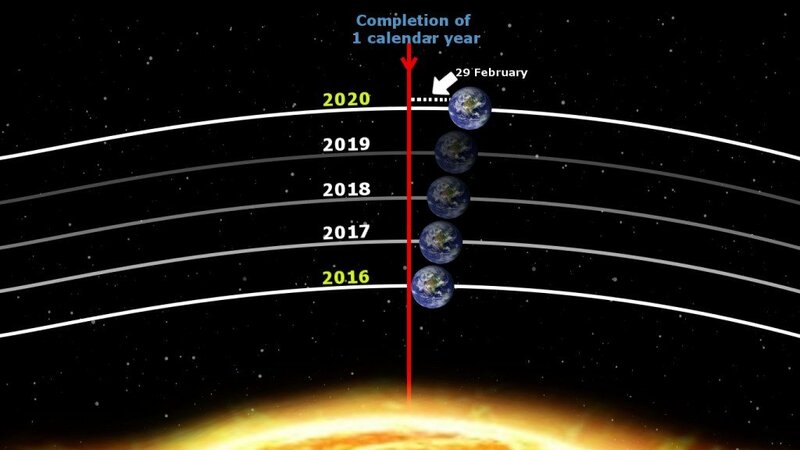 Since Earth is rather punctual and always takes 365 days (with the exception of Leap Year) to travel once around the central star, it makes perfect sense that on a given date, it should be at exactly the same spot in the orbit where it was the previous year, as well as for subsequent years in future. So, the question is – does our planet arrive at the same spot in its orbit after each year has elapsed? Short answer: No, the planet is not at the same spot in space on a given date of every year. Earth, in addition to rotating on its axis, spins around the Sun all the time in a fixed path that we refer to as an orbit. 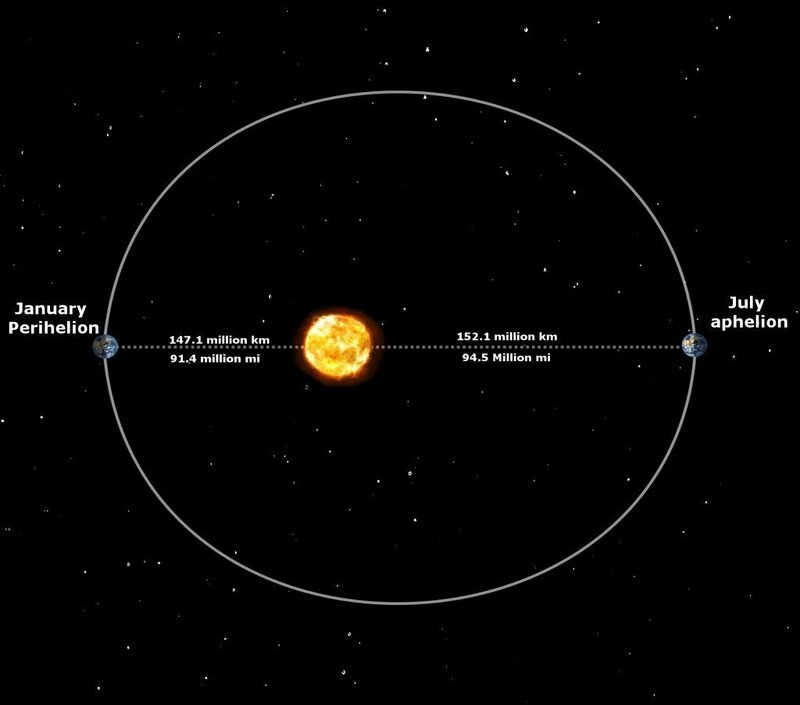 Contrary to what many people assume, Earth’s orbit around the sun is not perfectly circular, but rather elliptical. Furthermore, the Sun is also slightly off-center in this elliptical path. It’s common knowledge that (barring Leap Years), a year is roughly 365 days long; but, the word ‘roughly’ preceding that duration of a year is very interesting. In reality, the exact time that Earth takes to complete one revolution around the sun is 365.2421891 days, which is generally rounded off to 365.25 days or 365 days and 6 hours, i.e. one-quarter of a day. What this means is that at the end of a calendar year (a solar year, more specifically), the Earth doesn’t reach the same spot in its orbit as it was a year ago; it’s approximately 6 hours’ worth of revolution shy of being at the same spot. Likewise, in the subsequent year, Earth is 6 hours’ worth of revolution short of being at the same spot as the previous year. This is allowed to go on for 3 years, but in the 4th year, an extra day is added to the month of February, so that year is called a Leap Year. Although this doesn’t add an extra day to your life, but it does help to calibrate the calendar in accordance to the Earth’s motion. This means that the Earth is NOT exactly at the same spot in its orbit on your birthday every year; it trails slightly behind the spot from the previous year. Is Earth at the same spot in space every year on a given day? Now that it’s clear that our home planet does not come back to exactly the same spot in its orbit on a given day every year, another question that pops up is whether it comes back to the same spot in space on a given day every year? To put it bluntly… Not Even Close! We’ve seen enough pictures, video clips, gifs and even movies about our planet and the solar system to know that all of the latter’s components revolve around the Sun in definite paths. However, there’s a problem. Perhaps it’s due to the dozens of pictures of the solar system that we come across, or simply our own ignorance, but we tend to think of our solar system as a stationary, isolated system that has no motion with respect to the outer reaches of space. In reality, however, the Sun and the entire solar system are moving as a single entity around the central black hole of the Milky Way. It’s also moving very fast, with an average velocity of 828,000 kmph (514,495 mph)! Even at that incredible speed, it takes our solar system roughly 230 million years to complete one revolution around the Milky Way. (Source). Here’s a very interesting Vsauce video that might help you get a better visual understanding of the motion of both our planet and the solar system as a whole. There is one important takeaway from all of this: on any given day, neither the Earth nor any other member of the solar system is at the same spot as it was a year ago. In fact, things will never be in exactly the same place ever again, since the universe is also still expanding at an increasing rate! Every day is a once in an eternity kind of thing! This blew my mind, thank you!